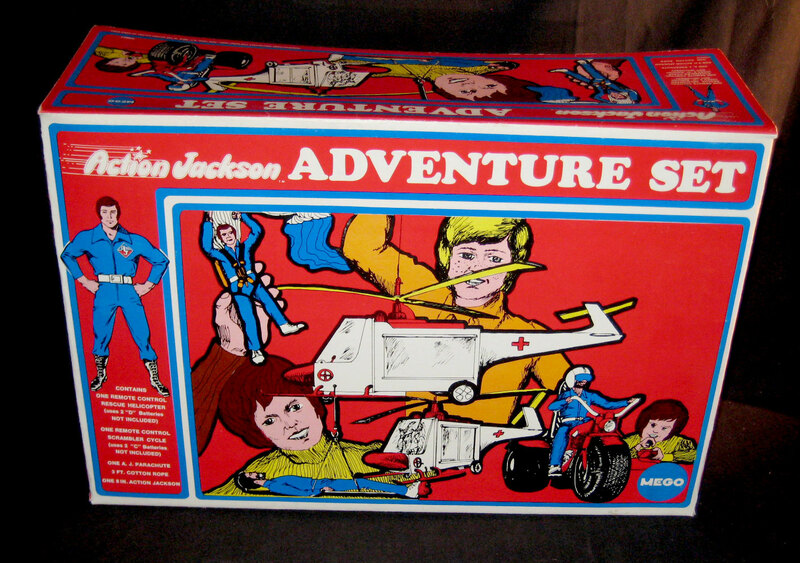 Unproduced Action Jackson Adventure Set was to include Rescue Copter, Sramble Cycle, AJ chute, and, interestingly, 3 feet of cotton rope! 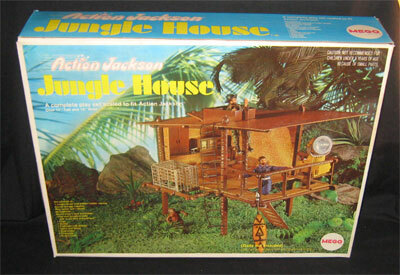 It's interesting that they chose an illustrated box rather than photographic as seen on the Jungle House and Campmobile. 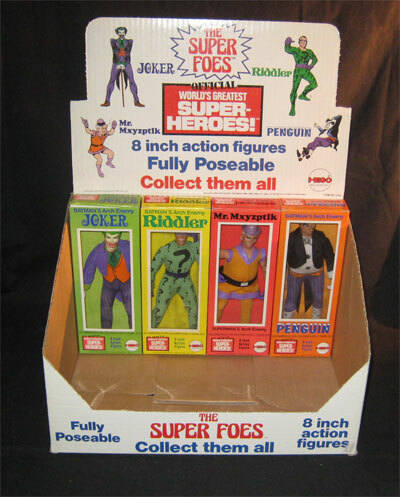 This might be a stand-in for a final photo box? The Adventure Set was promoted in the 1974 catalog, but as far as we know did not make it to retail. 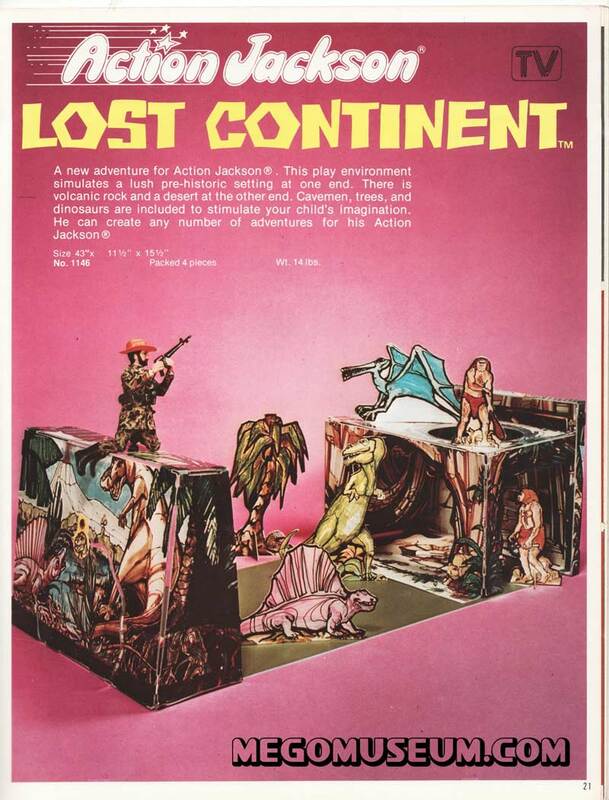 Mint campmobile box is empty. 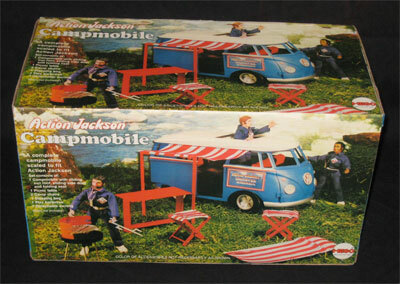 It was shown in the showroom, but it's unknown if it ever contained a campmobile or was simply a display item. The collection included a number of Dinah-Mite product samples, but none more exciting than this pre-press mock-up box for Dinah-Mite's Bike. 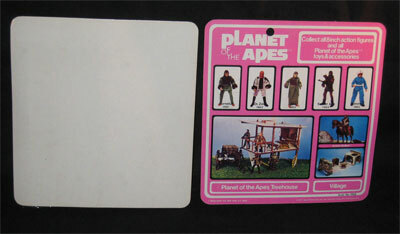 Much different from the final package (inset) the faded colors and black and white photos indicate this may be a work proof. 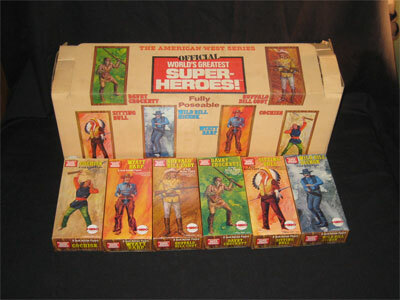 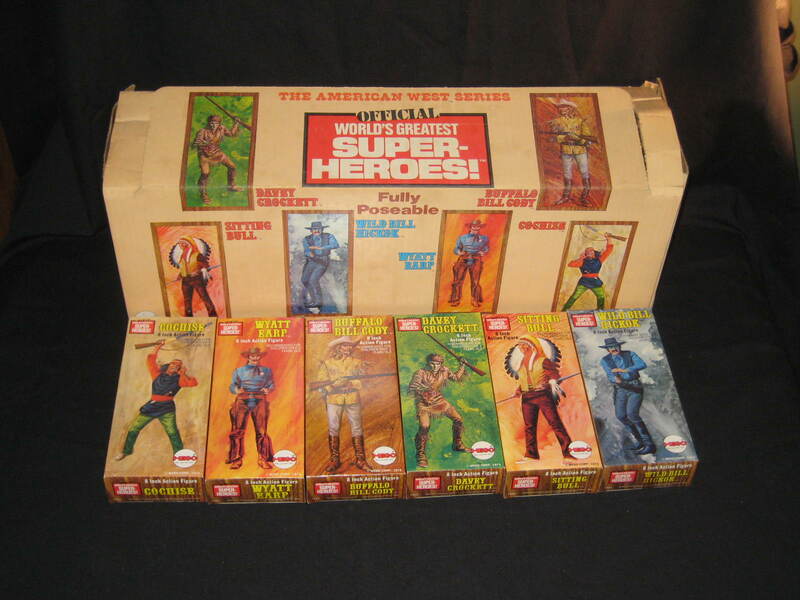 The Super Foes were a new release in 1974, this crisp example of the original display box holds the first four boxed examples from the line. Note how the Riddler is posed inside the box. 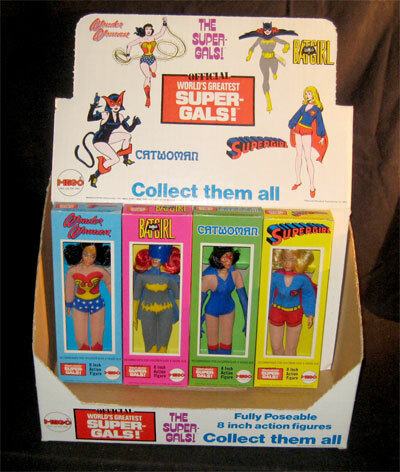 The Super Gals were also a new release in 1974 as evidenced by this wonderful display box and the first four production samples of the silk screened gals. 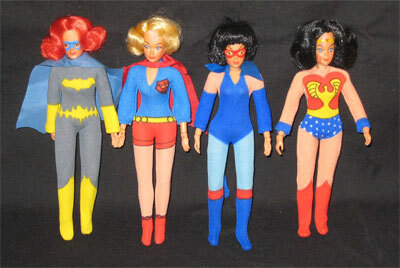 In addition to the boxed examples, these 4 loose Super Gals were also saved by the Mego employee. They have no accessories (gloives, boots, Batgirl cowl). Were they simply misplaced or are these the earliest factory production samples before any accessories had been tooled? 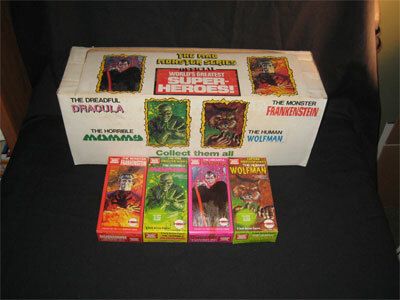 The rarely seen Mad Monsters display box highlights the Gray Morrow artwork and promotes the line as flying under the "World's Greatest Superheroes" flag. This find provides confirmation that the earliest versions of Frankenstein and Dracula--these are the actual samples shown at Toy Fair when the line debuted---were flat-top Frankenstein and smooth-haired Dracula with black hair paint. 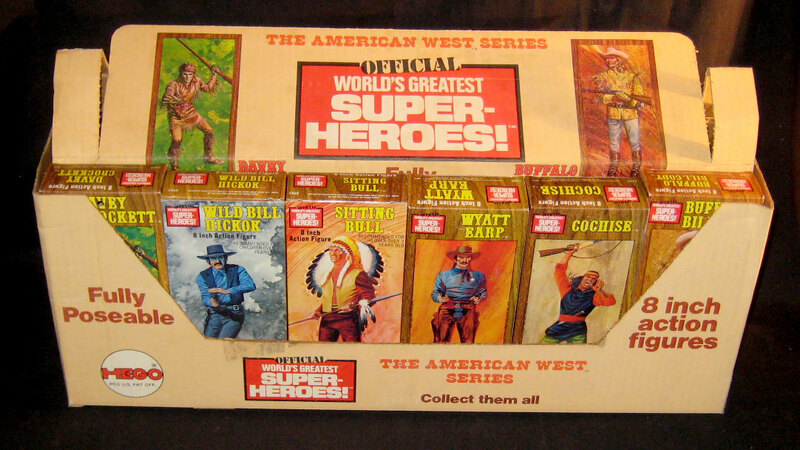 Mego was expanding the 8" universe in 1974 with the American West, this beautiful display box featured more of the terrific Gray Morrow Artwork. 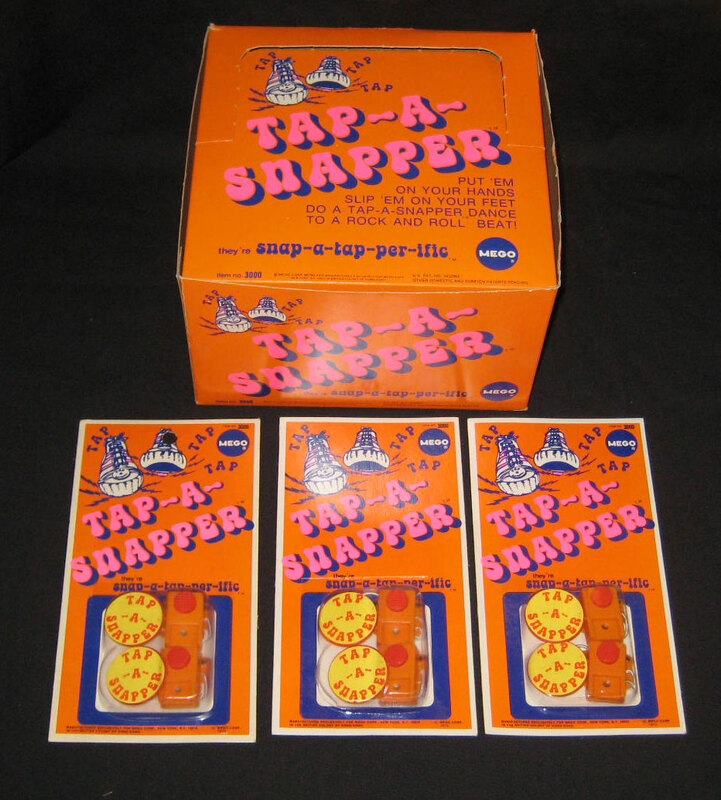 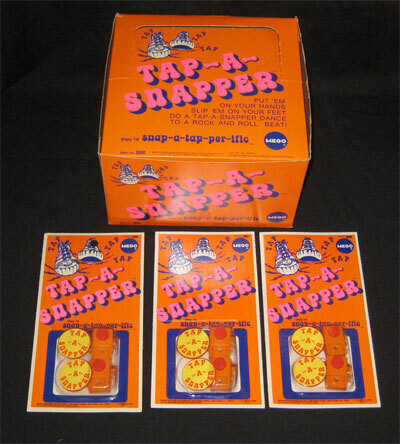 Tap A Snappers are not discussed much, they were only released in 1974. 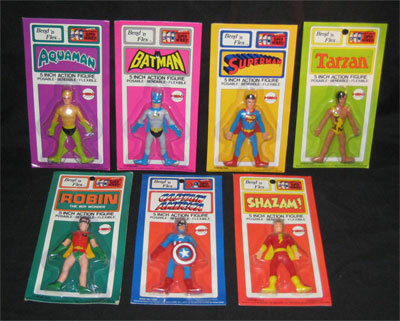 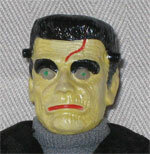 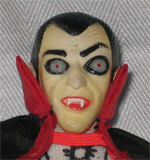 Mego made TV commercials for these featuring Marty Abram's son Ken. 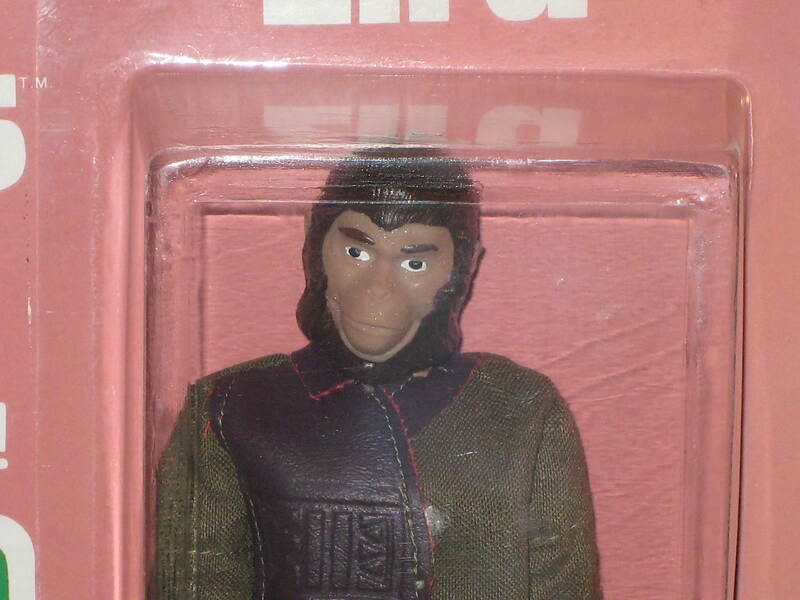 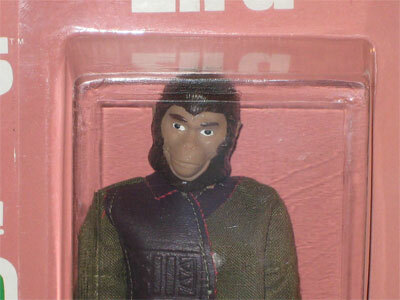 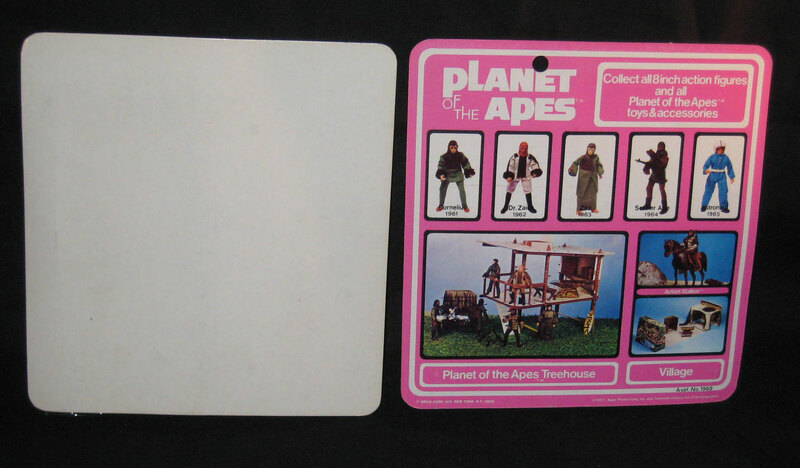 Perhaps the most astounding piece in the find is this prototype Zira card from the Planet of the Apes. 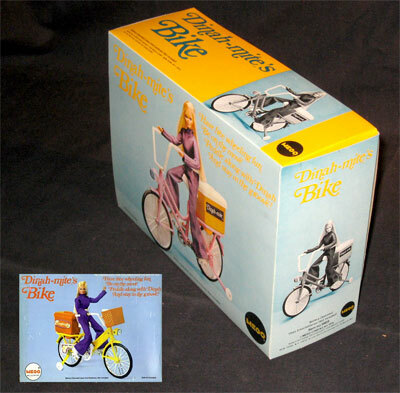 Designed by the collection's original owner, it's dull muave color was blunty panned by Mego chief Martin Abrams and changed to the final vibrant pink. The packaging date reads "1973 Apjac productions" something that was changed to the correct 1967 date when the figures went into production. 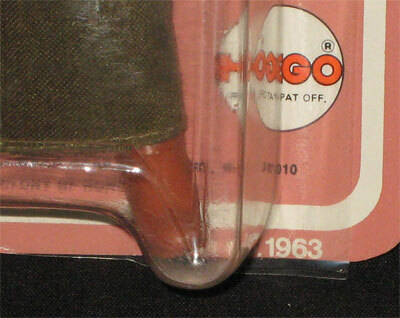 Note the hand-cut bubble glued to the card extends crudely past the card edge. 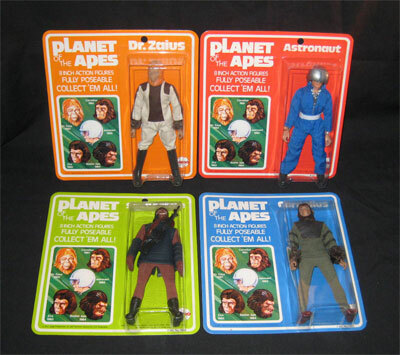 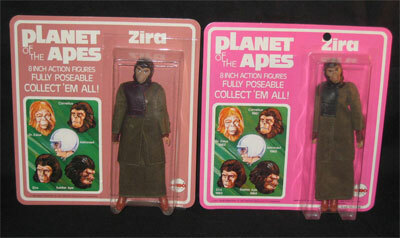 Mint factory samples of POTA cards displayed at the Mego Showroom. Want to hear something cool? All of these items will be available on Ebay this month (January 2008) with no reserves. Keep an eye on Ebay seller littlemarz in the coming week. 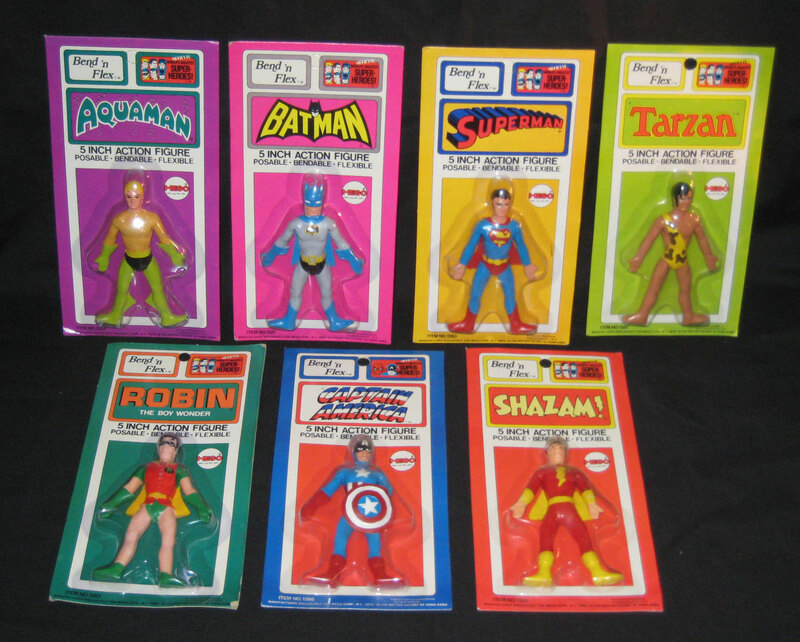 When Mego Collector Bruce Zalkin was contacted by a former Mego employee interested in selling a collection gathered during their days at Mego it was the FIND of a lifetime. 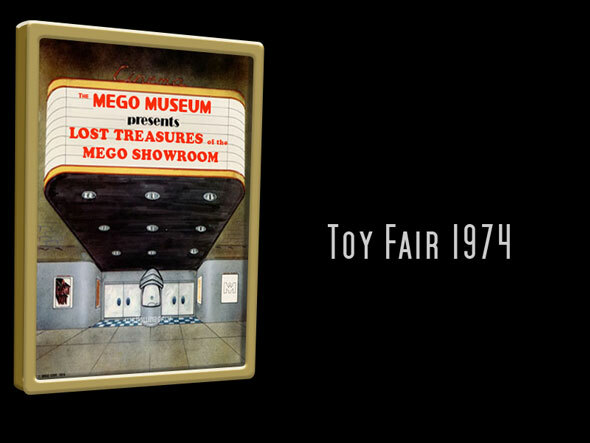 The find contained product samples from Mego's 1974 Toy Fair exhibit including orginal package mock-ups, factory production samples and a set of extremely rare counter display boxes. 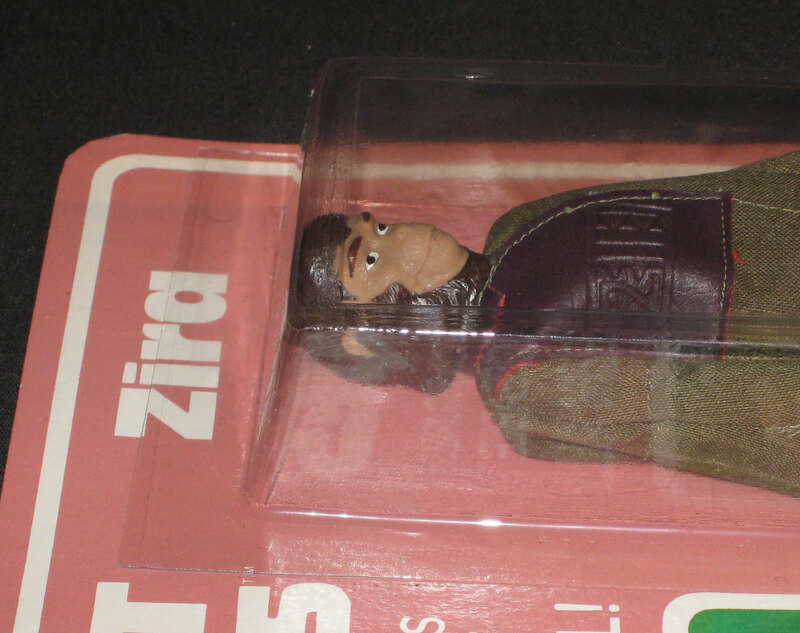 Before the collection is auctioned on eBay starting January 28, Zalkin (ebay seller Littlemarz) brought it to the Mego Museum to share these Lost Treasures with Mego fans worldwide.